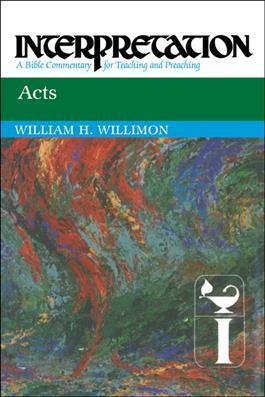 Willia m Willimon combines the latest findings in Lukan scholarship with the pastoral, educational, and theological concerns of the local church to provide a new interpretation of Acts. He bases his commentary on the idea that the purpose of Acts was not to make Christianity acceptable to the Roman state but rather to preserve the integrity of the church against the onslaught of classical culture. Interpretation: A Bible Commentary for Teaching and Preaching is a distinctive resource for those who interpret the Bible in the church. Planned and written specifically for teaching and preaching needs, this critically acclaimed biblical commentary is a major contribution to scholarship and ministry. This is the 2010 paperback edition. Originally published in hardback in the United States by Westminster John Knox Press in 1988.